When I started writing for publication, I started reading more. A lot more. And, very tentatively, I reached out to one of the first authors I discovered. 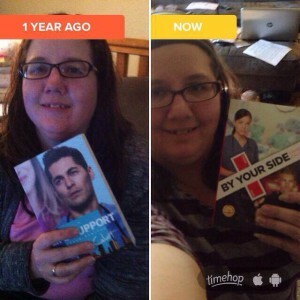 It was only fitting that she was my first special guest when we started the InspyRomance blog last year. She’s become a dear friend, encourager, and proceeded to make all of us insanely jealous over her meal pics every day. This gal is a serious foodie! Candace Calvert’s new book (releases officially March 1, but Amazon has an earlier shipping date of February 19) arrived in my mailbox yesterday – exactly a year after another one of her fabulous tomes did. And, well, I devoured it ;). Because I did. I loved it. It’s no surprise, of course. Candy did as she always does – she wove a wonderful tale of romance and redemption with just a hint of suspense (I totally texted her my bad guy guess on within the first 100 pages; she would neither confirm nor deny). 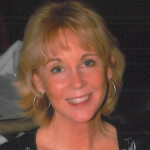 A former ER nurse, Candy brings her real life experience to the page, bringing the characters and settings to life in a way that only she can. ER nurse Macy Wynn has a past she’s worked hard to escape, but just might be coming back to haunt her in ways she could never have imagined. Deputy Sheriff Fletcher Holt has moved from Texas (and his spot in Candy’s last series) to Sacramento to help care for his ill, but recovering!, mother. Toss in a possibly drunk brother-in-law of a US Senator and a sniper reminiscent of the DC shootings and you’ve got the makings of a great story. I’ve read enough of Candy’s books to know she never leaves us without a happy ending and she didn’t disappoint. From gorgeous descriptions of incredible landscapes to the heart and adrenaline pounding scenes with the sniper, this is another sure fire winner. I don’t necessarily recommend staying up as late as I did to read this, but I dare ya to put it down once you do get started ;). ER nurse Macy Wynn learned essential, gritty lessons in the California foster care system: land on your feet and trust no one. She’s finally located the fellow foster child she loves like a sister, but the girl’s in deep trouble. Macy’s determined to help, no matter what it takes. Her motto is to “make it happen” in any situation life throws at her—even when she butts heads with an idealistic cop. What’s the latest you’ve ever stayed up to read a book? Was it on purpose or did you look at the clock and go “oops”? Come on now! Be honest! We won’t tell! 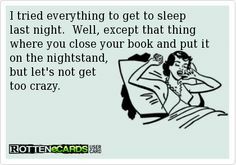 Haha…I never look at the clock when I am reading in bed at night! 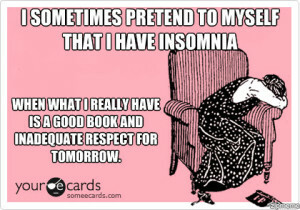 My excuse is this, I’ve just had books that wouldn’t let me go no matter how many times I begged, lol! You know the voice that says “just one more chapter, it’s not that long”…well then I end up way past an hour I really needed to turn the light out *insert sheepish grin here*. 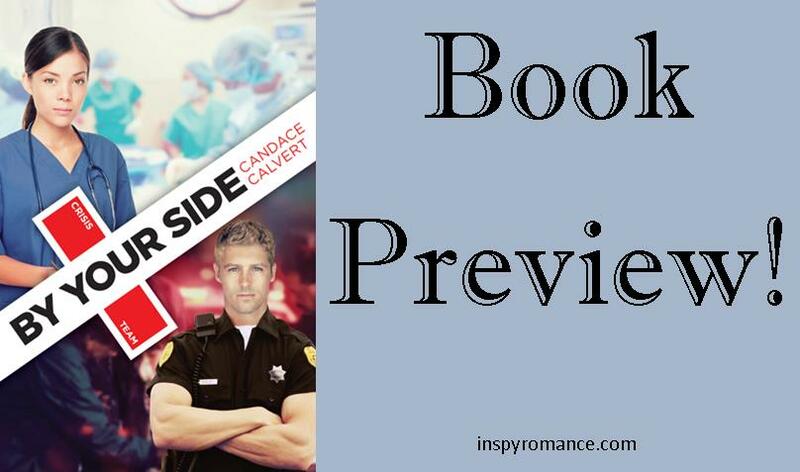 Now a medical thriller/romance, that sounds like a book that’s up for some late night reading! I do love a good medical thriller, just doesn’t seem to be enough in the Christian Fiction category though. Only author I know of is Harry Lee Kraus & I’ve devoured most of his books. I guess I like this genre because my mom was a nurse (she’s since retired) & I used to watch a lot of medical drama TV shows in the past. Don’t know what it is about medical drama that gets my heart pumping. Candace Calvert is a new-to-me author so I guess I’d better look for her books. This one sounds like a good one & one I’d love to add to my collection. Thanks for introducing me to her, Carol! Have a blessed rest of your week. Um… Been there. Done that. Got the t-shirt ;). So you don’t get the wrong idea, while Candace does write a bit of suspense in some of her novels, I wouldn’t call them thrillers. Fabulous books, but not thrillers in the true sense of the word :D. For some good medical thrillers, you might try Jordyn Redwood or Richard Mabry, as well. Candace’s tag line is “Medical Hope Opera” or I’ve also heard it referred to as “ER with heart” :). You know… I’ve never read Ted Dekker, though my sister loves him. I have lots of friends who do too. 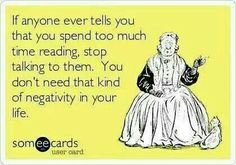 I have done that with other books though :D. WAY too many times!!! I had to take the teen to jazz band this morning at 6, then kids on the bus at 750, but after that I took a long nap ;). LOL! That’s about how late I was up last night – about 115 to read the book – then write the blog ;). I hate it when authors change enough that I don’t like them anymore :/. It’s one thing if they say “hey, this series is a bit different, but I plan to get back to what I love soon” [like Mary Connealy wrote a suspense under the not-such-a-psuedonym Mary Nealy rather than her usual light hearted cowboy romance with occasional suspense thread] or doing both at the same time – but to have it just change and seem permanent… notsomuch :/. Ha! Yeah! I’m with you! I rarely MEAN to stay up all night ;).